It was 1951 when a meeting was held at Lincoln Northeast High School to organize the Nebraska Association of Student Councils. In that first year, 31 schools joined the fledgling organization. Dr. Don Twiford, Director of Guidance with the Nebraska State Department of Education, served as the first Executive Secretary. He was later succeeded by Mr. William Jacques, Hastings High School Guidance Director, and Mr. Harland Taylor of Lincoln Northeast High. Dr. John Lux, then of University High School and an Assistant Professor at the University of Nebraska, took over as Executive Secretary in spring of 1960. The first Nebraska Leadership Workshop, a one-day conference, was held during Dr. Lux's tenure on September 9, 1961 at the University of Nebraska in Lincoln. In 1965 Francis Colgan assumed the position of Executive Secretary for one year. Dr. Ron Joekel, Associate Professor (and later Associate Dean) of UNL Teachers' College, took over as Executive Secretary at the NASC State Convention at Omaha Westside High School in November of 1966. 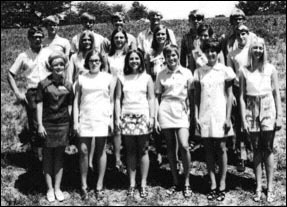 During Dr. Joekel's tenure, many changes were made in the growing association, including the expansion of the Summer Leadership Workshop to a five-day format. In 1976, for the first time, Nebraskans planned and carried out the entire Workshop without the use of an outside consultant. It was an expression of a basic NASC belief--that leadership comes about through the actions of many committed, active people, not a single guru. We believed that Nebraska had the talent and knowledge to address the needs of our own state's students. In 1993, NASC began offering two senior high Summer Workshops. In 1997 we added a Summer Workshop for junior high and middle school students. And in 2005, NASC enters its newest phase of leadership training by offering an Advanced Leadership Workshop for high school seniors. NASC continues to explore new and innovative ways to promote student leadership in Nebraska.